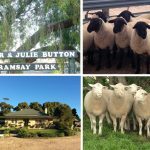 Ramsay Park is an 1150acre property situated 7km east of Minlaton on South Australia’s Yorke Peninsula. Owned and run by Peter & Julie Button with the help of their two children Sarah & Adam. The property is home to the Ramsay Park White Suffolk and Suffolk studs and we are currently developing a Black Composite terminal sire, being a combination of Suffolk and Hampshire Downs. An annual on property ram sale is held on the 4th Friday in September. INVESTING IN OUR FUTURE -Premier 17P015 Supreme Interbreed Ram Exhibit RHAS 2018. Purchased in partnership with Redwood Studs, Warooka for $43,000. Tested.We have been committed to showing our sheep for many years, as a means of comparing our structural soundness and correctness against the leading studs from around Australia. 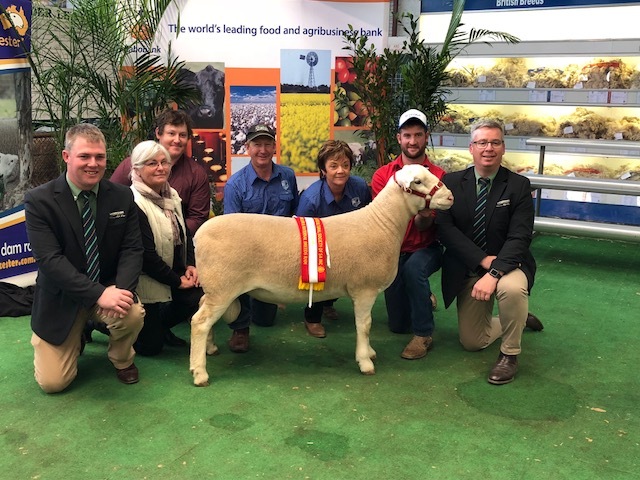 The main shows attended in recent years are Royal Adelaide Show, Hamilton Sheepvention, Bendigo Elite Show and Sale, as well as several regional shows. Success with both breeds has been achieved at all these shows.